There is a magic price level for your lawn care business that you have to find. At this price level you will be working the schedule that you desire and maximizing your hourly rate. However, either side of this magic rate are the danger zones of pricing either too high or too low. It's a fine line between these two sides and you have to do your best to get it right and avoid leaving money on the table. 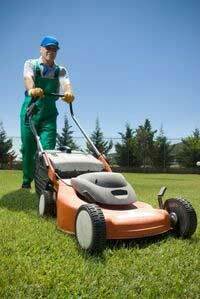 If you had to define the best price for a lawn job you would state that you want as much money as the customer is willing to pay without having them decline your estimate. Some would define these ideal prices as 'market rates' but that is not quite right. It is possible to consistently price your services well above market rates if you know what you are doing. In this article I look at the negative effects that poorly thought out pricing can have on your lawn care business. I also set out some examples of situations where it may be OK to price a little higher or lower than usual. Don't make the mistake of pricing too low, even if you are just starting out in business. Many entrepreneurs come into the industry with the idea that they will establish themselves by competing on price. Big Mistake! Bidding too low will mean that you will struggle to reach a profitable level of operation with your business. Eventually you will realize that you have to increase your prices considerably to make any money and you will risk losing many of your clients. Customers that choose a service based on price alone are often not the most loyal and they won't think twice about moving on to the next 'low priced' lawn care service. With low pricing you attract the worst kind of customer. It is also possible that if you market yourself as 'cheap', 'low cost' or 'budget' you may be missing out on the best of the customers that are out there. People sometimes associate low prices with inferior service and poor quality. Those business owners that do under price, known as 'low ballers' in parts of the US may also be doing a great deal of damage to their local lawn care industry and will be resented by their competitors. It is in nobody's best interests to start a price war. When is it OK to Price Low? The only time that you may want to price low is if you are really having trouble getting started in the business. The irony for some is that you can't get a job without experience and references and without having these two things first you can't get a job. If you offer your first one or two clients a great deal then you can at least get going and build up some confidence, experience and references. 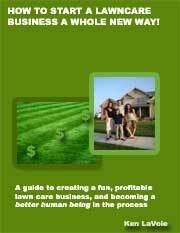 Pricing lawn care services too highly is also a mistake. The average prospect typically invites a number of companies to bid on their lawn and if your price is too high then you risk losing jobs and your marketing efforts will have been in vain. When is it OK to Price High? 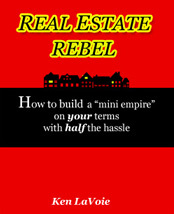 There are some situations where you may find that it is possible to get away with pricing that is above market rates. If you have a professional business set up with liability insurance then you may be ahead of many of your competitors to start with. A business that is well established and has a reputation for quality work may be able to charge a little higher than market rates. You can definitely price confidently when it comes to referrals. These prospects have been referred to you by other customers on the basis of their satisfaction with your work. Referrals have already 'been warmed up' and are unlikely to shop around as much as a 'cold lead' would. If you are a confident and gifted salesman, or have one working for you then it is also sometimes possible to sign households up for your services at above average rates. Being able to show customers your knowledge of lawn maintenance and proving to them why your services come at a premium price will also help you to win accounts.